Amplify is a Knowledge-based approach to teaching reading comprehension and writing skills? Knowledge-based learning is a curricular approach that focuses on building students’ general knowledge, along with skills, in order to help them become strong readers and writers. The philosophy is based on the idea that strong reading comprehension is deeply connected to whether or not students understand the context of what they’re reading—recognizing vocabulary and concepts they’re already familiar with. In other words, students need both world knowledge and word knowledge in order to succeed. A critical part of knowledge-based learning is that students build knowledge by learning about certain topics with increasing depth over multiple grades. For instance, when students are learning about the human body, in kindergarten they would start by learning about the five senses. In first grade, they learn about the parts and systems of the body. In second and third grades, there would be a deeper dive into each system of the body. In the Skills Strand, students develop comprehensive decoding abilities through explicit, systematic instruction in phonics and hone spelling, grammar, and writing skills. In the Listening & Learning Strand, students are exposed daily to challenging, complex text through carefully sequenced domain-based read-alouds at a time when they are unable to read comparable text on their own. The Skills Strand texts and the Listening & Learning Strand read-alouds consistently complement one another in terms of domain-based content. Students should be able to independently read increasingly complex text, as well as respond in writing to these same texts. Each unit includes explicit instruction and practice in writing, grammar, morphology, spelling, and reading. Through repeated exposure to words in each unit, students implicitly gain a greater understanding of many different words. Implicit vocabulary learning is an efficient and effective way to build a broad, rich vocabulary base. Expeditionary Learning encompasses on the main shifts that were made when Common Core was adopted? Effective literacy instruction through the use of compelling topics which engage students in informational and literary texts, and emphasizes “author’s craft” in accordance with the rigor of the Grade 6-8 standards. Students build expertise about a topic and often share that expertise with classmates or a wider audience. Students use evidence learning, including students self-assessing, to ask strong text-dependent strategic questions as they read, and participate in research for a real purpose. Performance tasks require students to cite textual evidence, to revise their writing and critique their peers’ writing, and share their writing with a real audience. Students are exposed to a wide range of increasingly complex texts to build background knowledge and interest. Awakened curiosity gives students purpose for reading, then we support and challenge them with increasingly complex texts. The new standards and progressions set the frame. But, the instructional shifts that teachers must make to achieve the rigor contained in the CCSS-M is what shaped every aspect of the curriculum. The instructional shifts are more evident than in the fluency, application, concept development, and debrief sections that characterize lessons in the PreK–5 grades of Eureka Math. Similarly, Eureka’s focus in the middle and high school grades on problem sets, exploration, Socratic discussion, and modeling helps students internalize the true meaning of coherence and fosters deep conceptual understanding. As extensive as these resources are, Eureka Math is not meant to be prescriptive. Rather, it is offered as a basis for teachers to hone their own craft. Scaffolding Hints—helping teachers support Response to Intervention (RTI). Consistent Lesson Structure—allowing teachers to focus energy on engaging students in the mathematical story. Convenient Interactivity—progressions-based search functionality to permit navigation between standards and related lessons, linking all lessons in a particular standard strand or mathematical progression, and learning trajectory. This functionality also helps teachers identify and remediate gaps in prerequisite knowledge, implement RTI tiers, and provide support for students at a variety of levels. 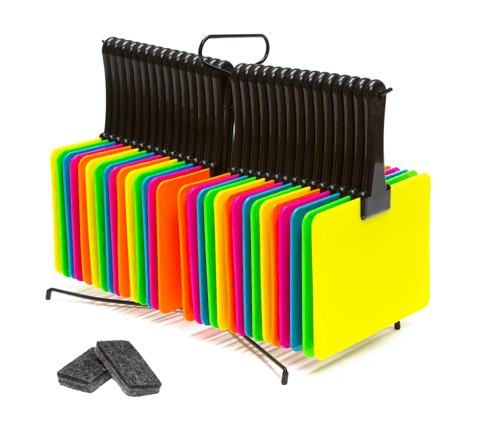 Take a moment and share your Engage NY success story with a picture from your classroom, and your name will be entered to win a set of 30 Briteboards with Hanging Rack & Mini-erasers for your classroom! Share your story via email to chrisruiter@choiceschools.com. Your story could be featured in the next issue of Curriculum Corner.